Leader of Italy's 5-Star Movement (M5S), Luigi Di Maio said that a fresh meeting with League chief Matteo Salvini on the formation of a new government went well on Friday. “We are finding other areas of agreement, the meeting was positive,” Di Maio said. 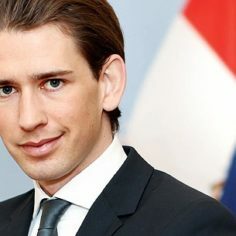 “We are making notable steps forward with the government programme, we are finding broad agreement on a basic income, flat tax, (scrapping) the (2011) Fornero (pension) law, the issue of fighting the business of immigration, and on conflict of interest”. 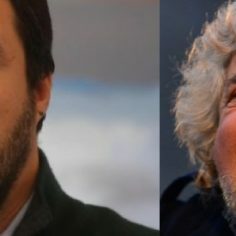 Di Maio and Salvini are reportedly seeking to identify a “third premier” – a figure that is not one of the two – who could head the executive. President Sergio Mattarella has given political parties 24 hours to try to reach a deal on a new government before he appoints a caretaker cabinet. But the M5S head said that “we didn’t talk about the name of the premier” on Friday. Former Fiat manager, career diplomat, ex national intelligence chief and current Fincantieri shipbuilder head Giampiero Massolo has meanwhile been touted and the M5S was reportedly not against appointing Italy’s former top spy. “Let’s hope we get a deal as soon as possible, because if we don’t we’ll go back to the polls,” Di Maio added. Di Maio also confirmed that an eventual deal would be put to an online vote of M5S members. He said the online vote would ensure that “a good contract” is forged. “I guarantee that we will do a good job to satisfy what Italians expect from a government of this scope,” he said. 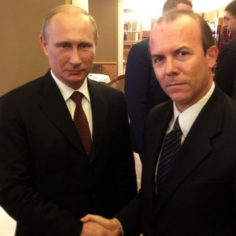 He added that the leaders would meet again in Milan on Saturday as part of a drive to get to “the signing of a contract of a government of change”. The League and the M5S may present the name of this “third premier” to President Sergio Mattarella on Sunday. If the plan works out, the president could give a mandate to form a government on Monday and the new cabinet could be sworn in by the end of next week. “There will be less than 20 (ministers),” said Vincenzo Spadafora, who has been put in charge of handling institutional relations by the M5S. Former premier, Silvio Berlusconi, had pinned his hopes on being kingmaker. 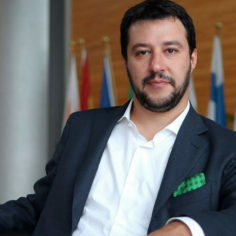 On Friday, he said Salvini “did not betray” the centre-right alliance with his Forza Italia (FI) by entering into government talks with M5S. The M5S line is that an eventual M5S-League government must not push too far with the European Union over the issue of Italy’s budget deficit, sources said. There is an agreement with the League’s representatives on this front, the sources told Italian news agency ANSA. The initial aim is to respect the deficit targets the EU has set Italy and not go over 1.5 percent, according to the sources. If it is necessary to go above, this will be discussed with the EU. By endorsing European Parliament President Antonio Tajani, Berlusconi had sent a calming message to EU allies and financial markets that he would not be hostile to the European Union. But Roberto D’Agostino, the owner and editor of Dagospia, Italy’s most controversial online publication, said Berlusconi has “lost his capacity to see and feel the country, the one gift that enabled him to remain in power for over two decades despite the numerous scandals he got involved in”. Milan daily newspaper Corriere della Sera reported that a tribunal has meanwhile overturned a ban on Berlusconi’s running for office again after reviewing a request from his lawyers. The court in Milan lifted the ban more than a year early, citing Berlusconi’s “good conduct”. In October 2012, the media mogul was found guilty of committing tax fraud, and Italy’s highest criminal court had previously upheld his conviction forcing him to surrender his Senate seat, preventing him from being a candidate in national elections. 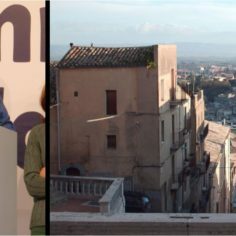 During the March election campaign, Berlusconi hugged conservative politician Attilio Fontana soon after Fontana stated that “the white race” should be defended “as an ethnic reality”. The move boosted his support. According to data from the Italian interior ministry however, the League won nearly 18 percent of the vote, compared to 14 percent for Berlusconi’s Forza Italia. “Since it was a race, the winner is [League leader Matteo] Salvini. He succeeded in bringing his party from 4 to 18 [percent], he did a great political job and turned a regional party into a national one,” said Denis Verdini, a long-time ally of Berlusconi and seasoned lawmaker. He added that the League managed to win regions historically loyal to Forza Italia thanks to their hard stance against immigration. 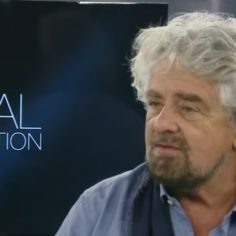 Roberto D’Alimonte, political science professor at Rome’s LUISS University conducted a survey in February which revealed that the dynamic between Forza Italia and Salvini’s party was changing. “There was a growing tendency towards the League,” D’Alimonte noted.